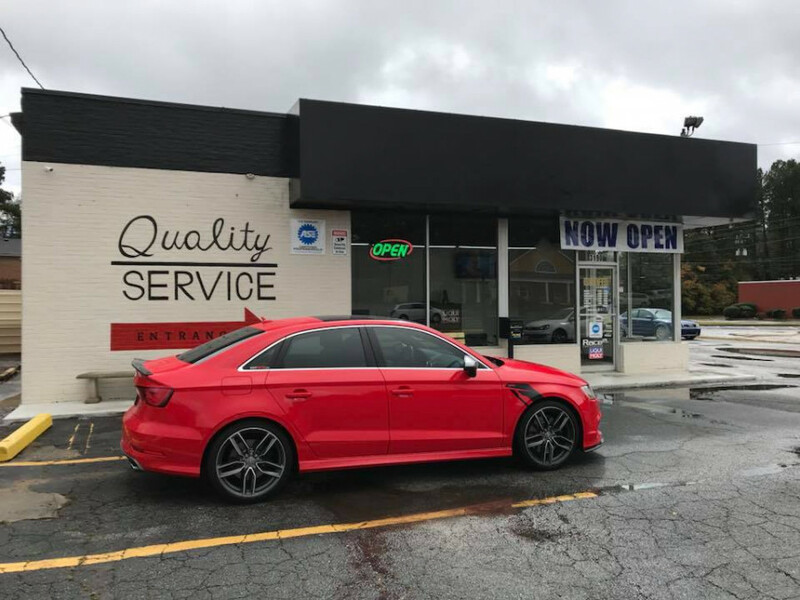 Best Audi car repair in Duluth, GA and for all of Gwinnett County and Metro Atlanta. Our experienced service department will keep your Audi in top condition. We use the latest diagnostic technology to provide high-quality service and quick turnaround. Our mechanics are highly skilled and have years of experience in dealership settings. Most of all: they love cars and care about yours. Went to Jim Ellis Audi, as I had purchased my car there- I knew it was time to get a carbon cleaning done. The advisor handed me an outrageous quote. I kindly rejected their services and started searching for local European automotive shops. I came across Eurofed Automotive due to their reviews and gave it a shot. I called and spoke to Mesha who got me an appointment immediately. The customer service from my first phone call to my visit was excellent! They quoted me for the carbon clean up and it was very reasonable! I felt completely comfortable leaving my car and trusting their services. I will most definitely come back for my regular services and highly recommend Eurofed for anyone needing a great Independent automotive shop! Great customer service! I would highly recommend this European automotive repair shop for any maintenance or diagnostic. Compared to the dealership and other European auto shops, by far Eurofed Automotive is the best I found. The pricing and their 2 year, 24,000 mile warranty on all repairs not even the dealer can match. No need to look any further, 5 stars all the way! In my opinion, Eurofed Automotive is the best shop I have been for maintaining my Audi S5. Not only did I get the best price in town, the quick turn around was awesome as well. The service advisor is very knowledgeable and he will tell you very accurately what needs to be serviced.